Eleanor C. Legg, 94, of Westborough, passed away peacefully on Wednesday, July 11, 2018 at the Beaumont Rehabilitation and Skilled Nursing Center. She was the wife of the late Kenneth L. Legg. Born in Bridgewater, MA, she was the daughter of the late Charles and Helen (White) Carroll. She was educated in Bridgewater schools and was a 1941 graduate of Bridgewater High School. 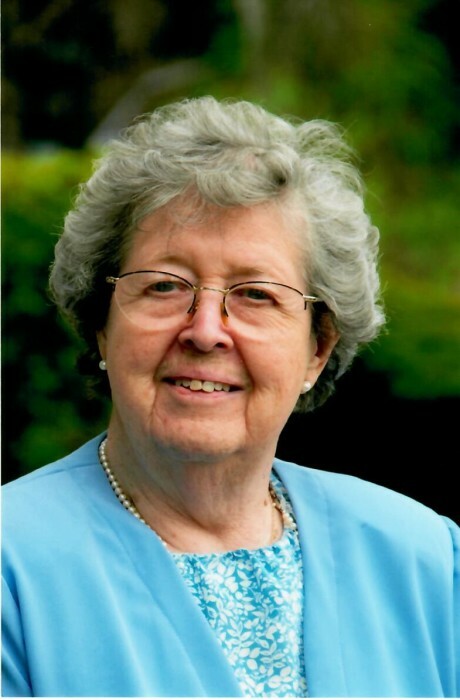 Eleanor was an active member of St. Stephen’s Episcopal Church and served on Stephen Ministry, and mission and outreach. She also volunteered for the American Red Cross and American Field Service and was a former member of the Westborough Women’s Club. She is survived by four sons, Robert K. Legg and his wife, Eileen, of Strasburg, VA, Donald B. Legg of Springfield, VA, Douglas R. Legg and his wife, Jean, of Waterville, ME and David M. Legg of Longwood, FL; one sister, Marjorie Duncalfe Brooks of Ontario, Canada; nine grandchildren, 17 great-grandchildren and many nieces and nephews. Her funeral service will be held on Monday, July 16, at 10:00 A.M. in St. Stephen’s Episcopal Church, 3 John St., Westborough. Burial will be in Hillside Cemetery, Auburn. Calling hours at the Pickering and Son Westborough Funeral Home, 62 West Main St., Westborough, are Sunday, July 15, from 2 to 4 P.M.